Due June 2, the set captures the band’s first performance at the event since 1970, and as part of The Who’s first concerts in their home country since the death of founding member and bassist John Entwistle from a heart attack induced by a cocaine overdose in Las Vegas in 2002. Delivering a full set of Who classics, the lineup for this show featured vocalist Roger Daltrey, guitarists Pete and Simon Townshend, bassist Pino Palladino, drummer Zak Starkey and keyboardist John “Rabbit” Bundrick. 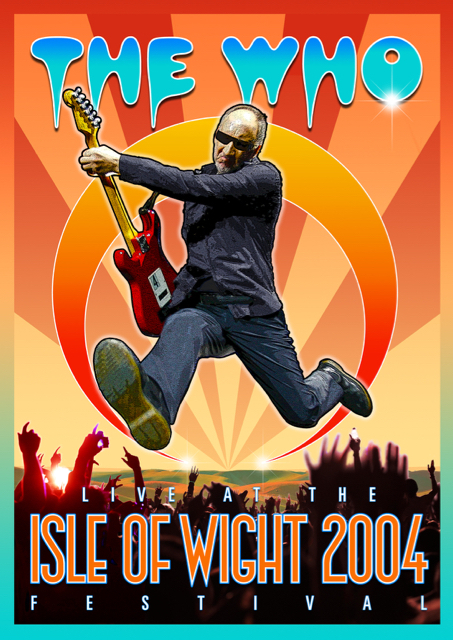 “The Who Live At The Isle Of Wight Festival 2004” will be issued on DVD+2CD, Blu-ray+2CD and Digital formats. The Who recently announced the first series of dates for a residency this summer at The Colosseum at Caesars Palace in Las Vegas, NV as part of the 4th year of the band’s current farewell tour. The group will launch a six-date run at the venue starting July 29, with five shows scheduled for early August…and more to be announced.